A big thanks to Entenmann’s® for the coupons and gift card! 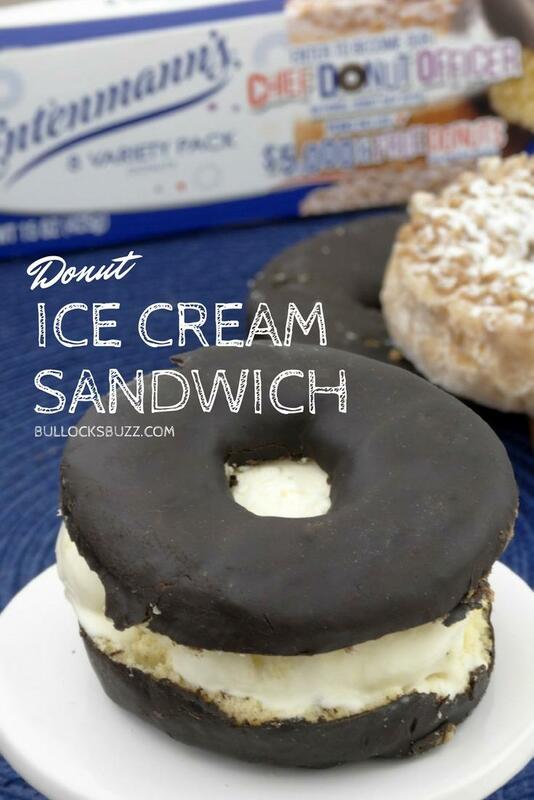 Today’s post featuring a DIY Donut Ice Cream Sandwich, is a sponsored post on behalf of Entenmann’s®. Calling all donut lovers. National Donut Day (June 1) has come and gone, but there’s no reason to be sad. You can celebrate donuts every day with Entenmann’s® and this delectably sweet DIY Donut Ice Cream Sandwich recipe! Plus, a chance to become the Chief Donut Officer (free donuts + $5000) AND a chance to win a $25 VISA — keep reading! While Entenmann’s® Donuts are delicious on their own, they’re also super tasty when used as an ingredient in a variety of tasty treats. And today I am sharing one of our favorites: a DIY Donut Ice Cream Sandwich recipe! 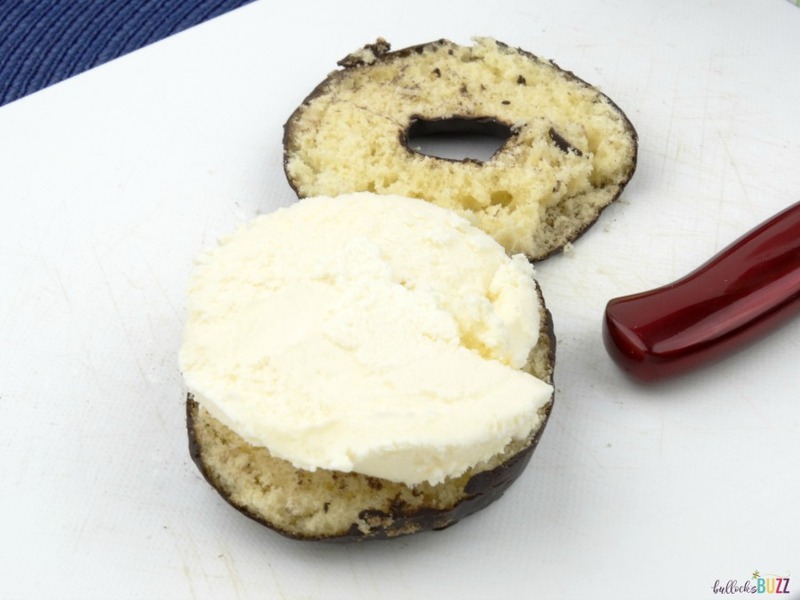 These delectable Donut Ice Cream Sandwiches take two all-time classic favorites and combines them into one delectable summer sweet! Best of all, they are incredibly easy to make! 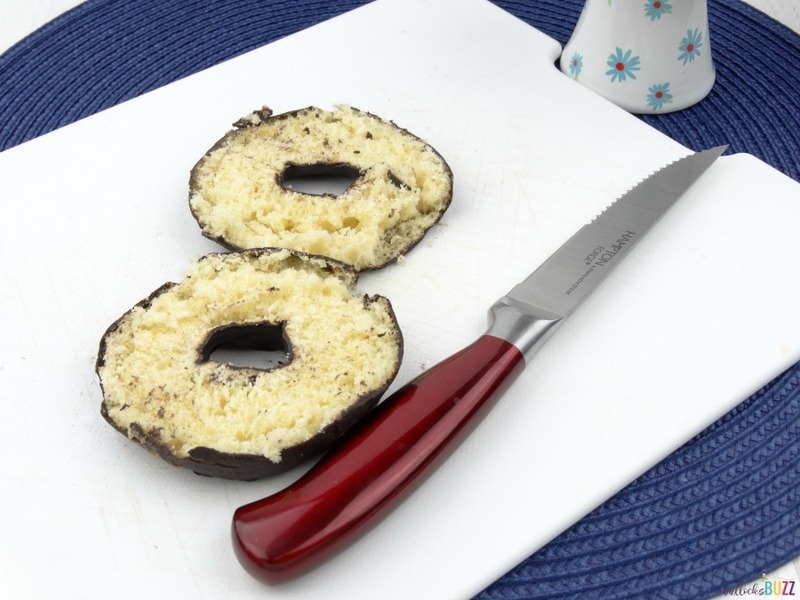 Begin by carefully slicing an Entenmann’s® Donut in half. Next, take a small scoop of vanilla ice cream and place it on one half of the donut. 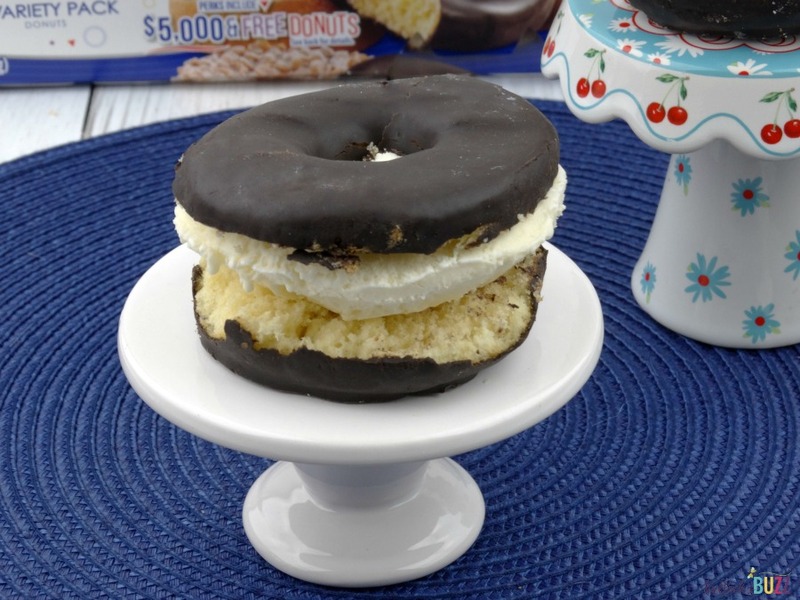 Place the other half donut on top, and you are ready to enjoy your Donut Ice Cream Sandwich! 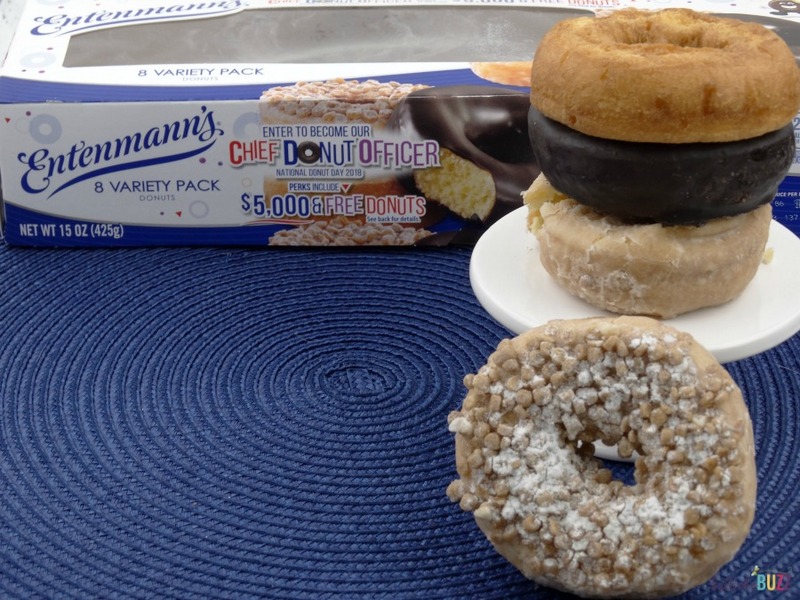 Entenmann’s Chief Donut Officer – The Search is ON! If you love Entenmann’s® Donuts then all those years spent eating Entenmann’s Donuts could finally pay off…and in an extra sweet way! In honor of National Donut Day (June 1), Entenmann’s®, the iconic baked goods brand, has announced its search for the country’s biggest donut devotee to claim the sweetest honorary title ever: Chief Donut Officer! Talk about a dream job! And there’s some pretty sweet perks, too! In addition to the spiffy honorary title, the winning candidate will also get a year’s supply of donuts, some Entenmann’s branded merchandise, and five thousand dollars ($5000)! But the finalists will reap some tasty and sweet rewards as well – four (4) runners-up will each get free donuts for a year and $1,000! Sweeet! Donut be scared to apply – it’s easy! Qualifications include a love of donuts and creativity! From now to June 30, 2018, simply head to www.chiefdonutofficer.com. Once there, you’ll answer a few questions about your love of doughnuts such as how you like to eat them, how you’d improve on Entenmann’s varieties, what new flavors you’d create, and how you’d help spread the word about the tasty treats. Each response will be judged based on passion, creativity and originality, and then five finalists will be selected and invited to submit video testimonials about why they deserve to be named Chief Donut Officer. From there, fans across the country will have the opportunity to vote online for their favorite candidate! The grand prize winner will be announced on August 7, but all finalists will reap some sweet rewards – all four runners-up will receive . If you’re willing to bet dollars to doughnuts that you’d make a great Chief Donut Officer, head to chiefdonutofficer.com and enter, ummm, apply now! I don’t know about you, but I am planning on announcing my candidacy soon in the hopes of filling this tasty position! 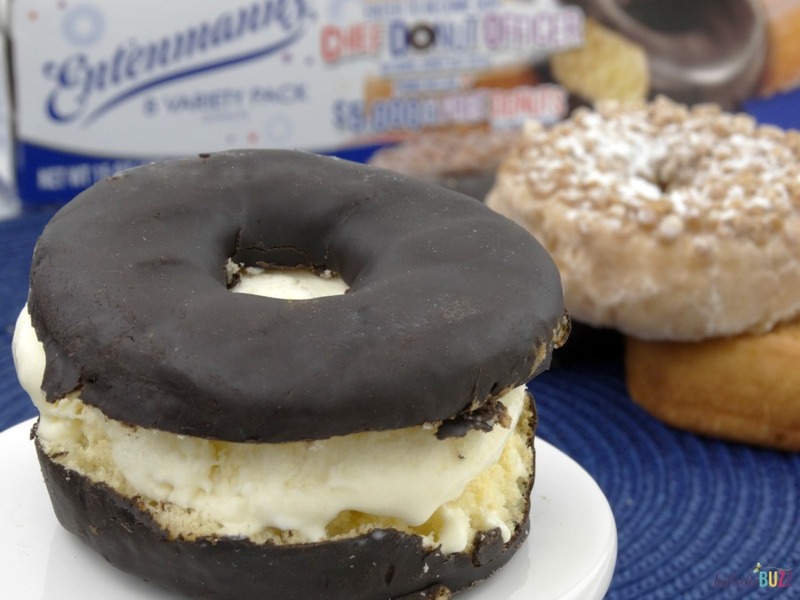 You can check out all of the details about the Entenmann’s Chief Donut Officer Contest here, and follow along on social media through Facebook, Instagram, and Youtube.  Win a $25 Visa Gift Card (digital) – Another Sweet Giveaway! $25 will buy a lot of Entenmann’s donuts and I’ve got a $25 VISA digital gift card to giveaway to one lucky Bullock’s Buzz reader! In order to enter, simply use the giveaway tools form below. This giveaway is open to US residents only. This giveaway will end June 18 at midnight. Good luck! My favorite are the chocolate doughnuts. My favorite are the glazed buttermilk. I have only tried the chocolate frosted and the powdered, so my opinion is limited, but I like the powdered more. I like their crumb coffee cake donuts. I like their powdered donuts best. Ever since I was a little kid the Rich Frosted Donuts have been my favorite. I love soaking them in milk, they’re like little sponges! I like the cinnamon sugar donuts. My daughter loves their chocolate donuts! Thanks so much for the chance! My favorite are the crumb topped donuts. I love the Entenmann’s crumb topped donuts the most! The powdered donuts are my favorite! I love Lemon Crumb Donuts. My favorite are the Frosted Devil’s Food Donuts — ooh soo good! I love the powdered donuts the best they are so good.